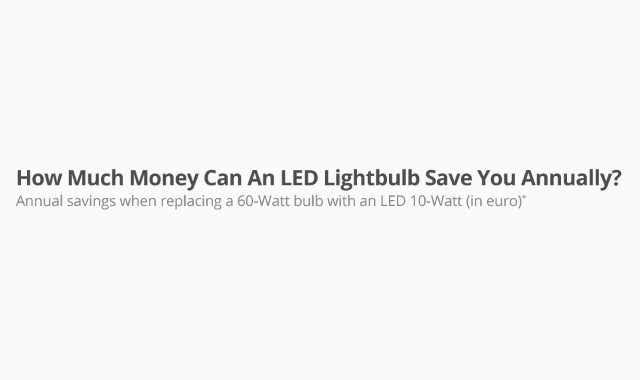 How Much Money Can An LED Lightbulb Save You Annually? #Infographic ~ Visualistan '+g+"
Across Europe, many people have bid their dusty old incandescent lightbulbs farewell and replaced them with modern LEDs. They tend to use up to 75 percent less energy than conventional lightbulbs and last up to 25 times longer. What does that reduced level of energy usage mean for consumers' energy bills? 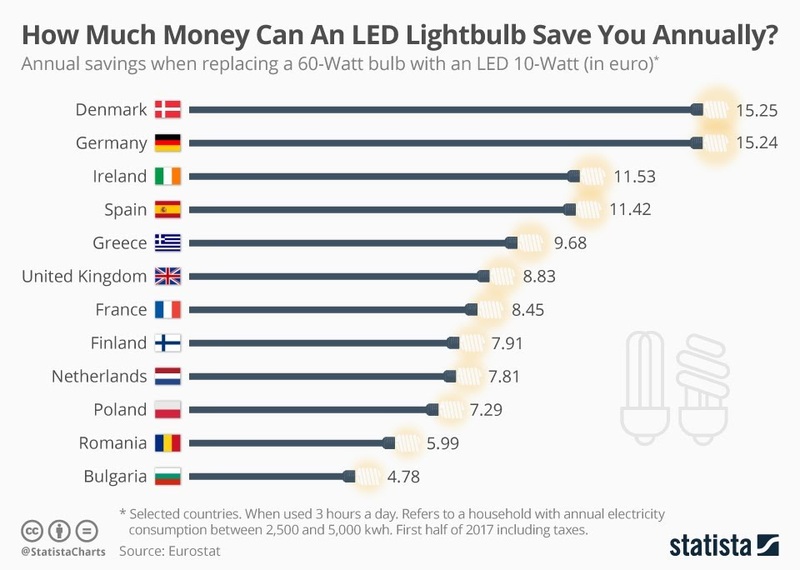 Eurostat recently released data on just how much money an LED lightbulb saves people in the EU.